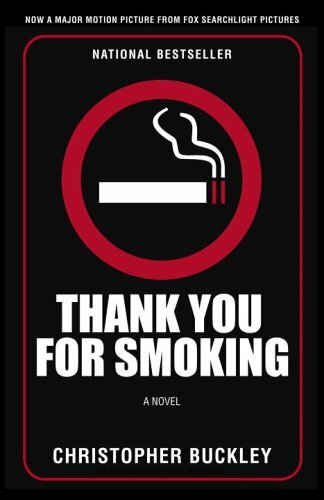 Adapted to film a couple years ago, Thank You For Smoking, is about Nick Naylor, vice president and lobbyist for tobacco industry who suddenly finds himself under the bright and accusatory stares of the world as he tries to increase spending on cigarettes while promoting safe living and health. I saw this movie last year, and vaguely remembered the storyline. It was very interesting to read the actual story, many things different in the book than the movie. Nick spends his days promoting smoking, spending money on advertising for and against smoking, carrying on a secret affair with a reporter who uses his private words and their secret conversations for her own gain. His friends all stand by him, each of them working and lobbying for their own controversial company. It’s not long before he finds himself in a life threatening situation that leaves him wondering for the first time ever if smoking is really something he wants to be standing behind. The sixth Kinsey book is all about determining innocence or guilt when Kinsey is hired to solve a murder that took place 17 years ago, when a teenage girl was killed and her boyfriend was accused and found guilty of her murder. 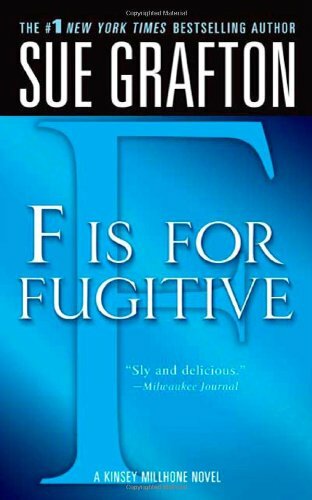 But everything’s changed now what he’s escaped from prison and went on the run, hoping to clear his name before anything bad happens. Kinsey is hired by the family to find out the truth of what happens, living in their hotel for free, but as she begins to dig into their history and the town, she finds everything is not as it seems and there are more secrets than ever being kept. It was a very interesting read and I was very intrigued to get to the end and find out who the actual killer and such was. The books are getting better and I’m looking forward to playing catch up even more with the series. 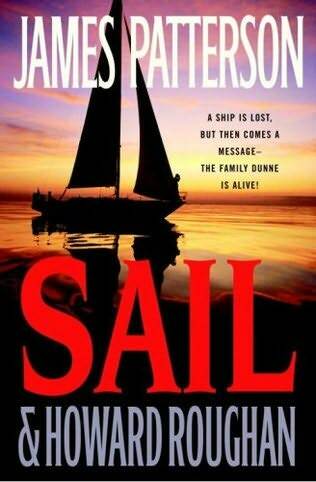 A stand alone thriller by James Patterson turns a sweet family vacation into a terror when bad goes to worse and the horrifying. It’s hard to be rich, happy and a successful family without struggle. That’s what the Dunne children find out when their mother drags them on a summer sailing vacation with their uncle, soon after their mother has re-married. It all starts off when the boat almost sinks due to a pipe leak. Just when there is hope for their family to rekindle their differences amidst near suicides and drownings, the unthinkable happens and they find themselves in the direst of situations, fighting for their lives and others while wondering if help will ever come. This was a very quick and interesting read, on the edge of your seat wondering what was going to happen. There were so many side stories and pieces that it was fun to see how it would eventually all come together and solve itself. Late again, but I’ve been trying to figure out my reading for the next month and compare it to challenges that are coming up and ending soon. I think I made a great dent and nearly finished last month’s nightstand which is a great accomplishment. The last book I finished was A Darkness More Than Night by Michael Connelly and it was pretty good, but not my favorite Harry Bosch. I will be reading at least two more of his book over the next month to finish a challenge with this series. I’m looking forward to catching up. I just started In Cold Blood by Truman Capote and will be starting book 6 of Harry Potter very soon. It looks long by many of these books (James Patterson) will be quick and fun reads so I should have too much of a problem finishing them up before the end of July. May might not have been my most productive reading month, but I still have fun getting caught up in challenges and reading some good Summer kick off books. June appears to be shaping up much better, and I have hope that the rest of the year will only continue to increase. 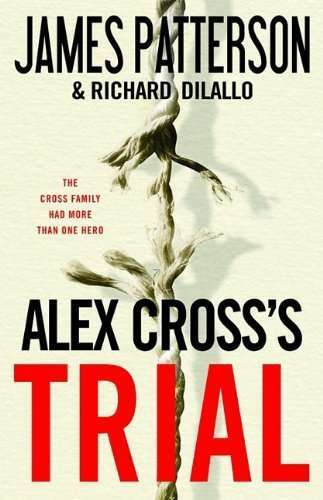 This installment of the Alex Cross series is much different from all the others. Instead of the typical Cross adventure, this one takes us into the past as Alex writes the story of his family history and how his great uncle helped create history and save lives, along with his grandmother. It took me quite awhile to get into this story like I have the others because it was such a step back from the norm, but once I got far enough the story became very interesting. Lawyer Ben Corbett is hired by the president to investigate lynchings and racism in Mississippi, and his main point of contact is Abraham Cross (Alex’s great uncle). Abraham shows Ben the sites of many lynchings and both personally witness various forms of racism in their short time together before Ben finds himself in a very compromising position with the community, unsure who he can trust and how to survive. 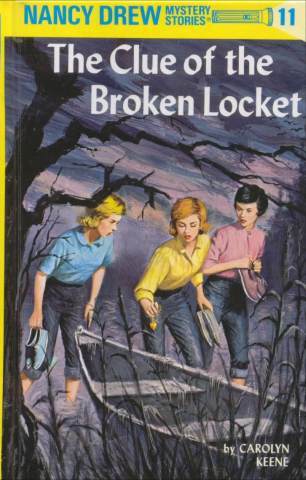 The eleventh book of the Nancy Drew series has Nancy and her friends, along with her father, helping to reunite another family. I think of all the Nancy Drew books so far, this one has been the least interesting to me and I had a hard time getting into it. Nancy finds a broken locket and miscellaneous articles that help trace back the owners to a set of twins, but as she is trying to find the owners someone begins to plant evidence on her and causing more suspicion. All the while, a mysterious ship in the water has her wondering what may be really going on. Like I said, not my favorite mystery and I barely remember any of it, so that in itself tells me I didn’t enjoy it as much as the others, but I won’t stop reading them.